Team ICB broke the news that a comprehensively revamped Tata Aria – codenamed Eagle will be launched in a year’s time. 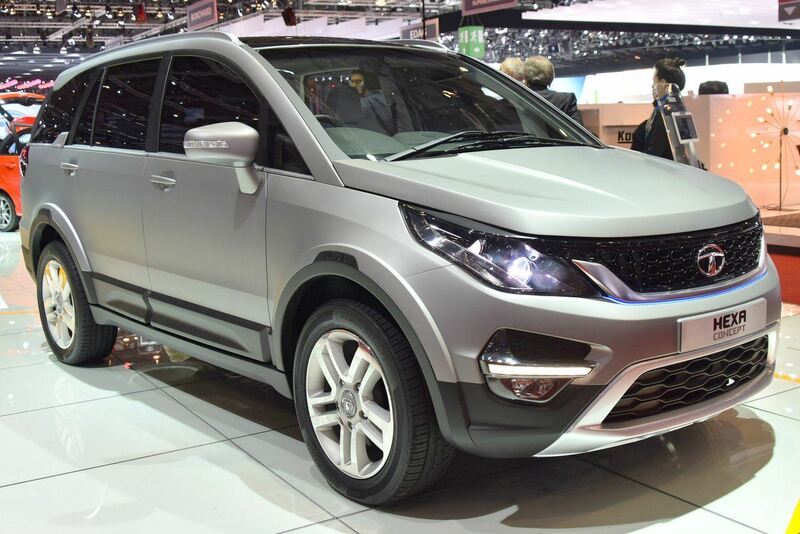 Then, at 2015 Geneva Motor Show, the largest Indian automaker showcased the Hexa Concept which gave us a fair idea on what to expect from the project Eagle. Tata Hexa SUV, though based on Tata Aria MPV, is not merely a facelift model of the latter, but a full fledged image makeover. Despite being a versatile, powerful, spacious and feature rich car, the Aria‘s positioning as a premium MPV never really caught the fancy of car buyers in the segment. A conservative design inside out is to be blamed. On the other hand, Mahindra XUV500 with its premium SUV image created ripples in the same market segment. The superficial changes that the Hexa incorporates are extensive so much so that an average beholder may not recognize that its roots are derived from the Aria. 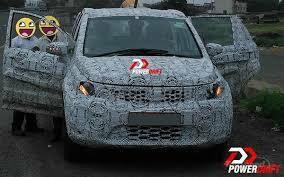 The bold front fascia has a rugged squared off appearance compared to the ailing MPVs mellow appeal. Much to our relief, Tata’s designers have finally done away with the smiley front grille and replaced it with a rectangular-ish unit which sports a glossy black honeycomb meshing and a silver trough underlining. The sweptback headlamps house dual projector elements for added premium feel while the sporty bumper with silver insert, foglights and LED daytime running lights attempts to justify the SUV tag. We also like the nicely contoured hood. The sides are where one can relate the Hexa to the Aria. The long silhouette still has the people carrier roots but elements like black plastic lower body cladding, flared wheel arches, new character lines and a more upright D-pillar certainly help liven up things. The angular wraparound LED taillights, badge-carrying silver insert, and a dual-tone bumper with dual exhaust tip sum up the MPV turned SUV’s rear fascia. Overall, Tata has successfully manged to shake off the mundane image that is associated with the Aria’s aesthetics. In terms of equipment, the Tata Hexa SUV would come with 6 airbags, ABS with EBD, ESP, a touchscreen multimedia infotainment system, 19-inch wheels, numerous storage boxes, ambient lighting, climate control and leather upholstery. 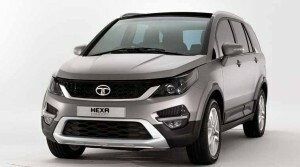 With a brand new image and an already potent hardware, the Hexa looks set to put the bad memories of the Aria behind. Here is our more information about Tata Harrier before its Launch . Copyright © 2019 Engines Drive.